Belt-driven system ：Enjoy superior sound thanks to the belt drive, which reduces vibration. 3-speeds turntable：33-1/3, 45 and 78 RPM listening speeds, let you enjoy your entire record collection. 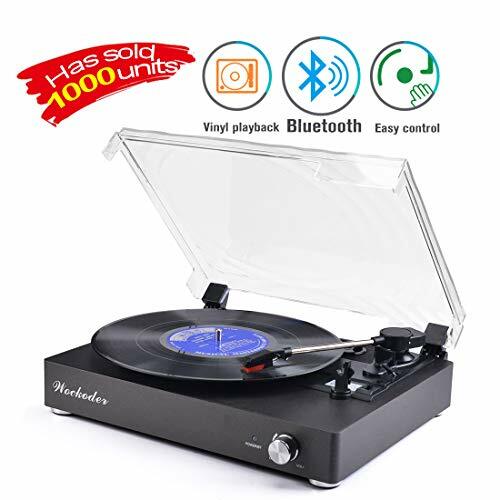 Bluetooth function：Not only can experience the nostalgic sound of vinyl, but also to enjoy your favorite digital music via Bluetooth. Easily removable dust cover：Dust cover protects your vinyl records from damage. Transparent design let turntable looks more simple and elegant. View More In Turntables & Accessories. If you have any questions about this product by WOCKODER, contact us by completing and submitting the form below. If you are looking for a specif part number, please include it with your message.